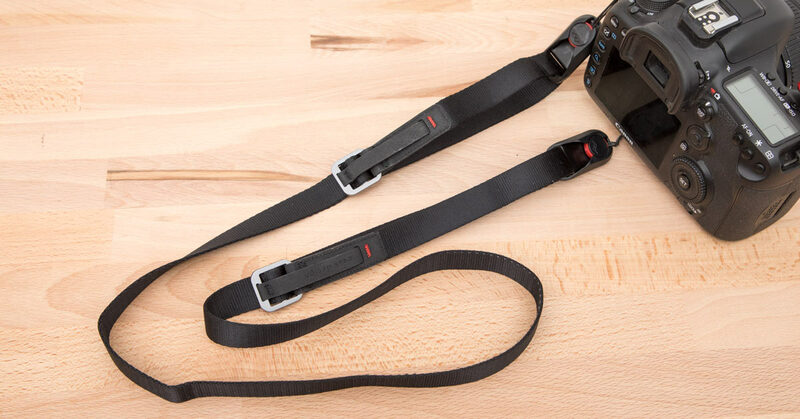 The Leash camera strap ($39.99) from Peak Design has been my go-to camera strap for many years, so I was excited to see that they did a pretty major update to it in 2017. 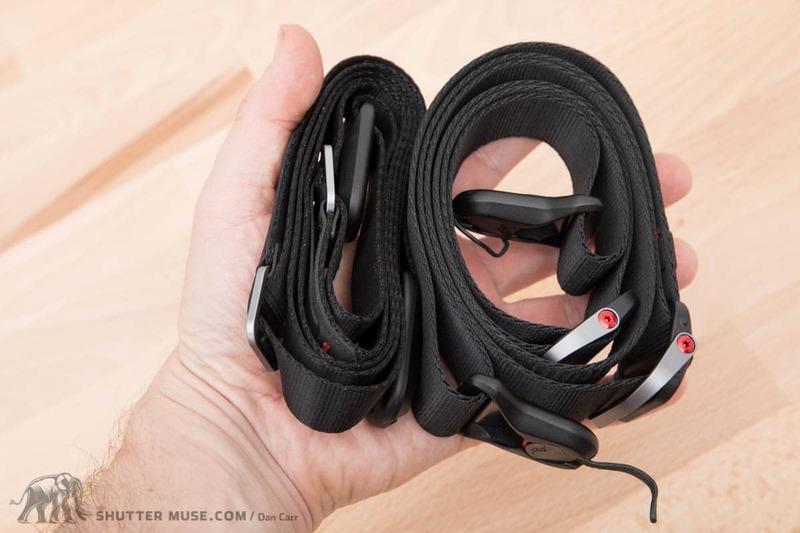 In this review we’ll take a detailed look at this new strap, plus we’ll compare it to the original version so that you can make a decision whether to buy it, or upgrade if you already have the previous version. As I usually try to do, there’s a hands-on video as well as lots of photos and commentary. In particular, the video shows the simplicity of the quick-release mechanism in a way which isn’t easily done in photos. If you haven’t seen the Anchor quick-release system in action before, it’s worth watching just for that. The original version was just available in black, the new version is also available in Ash Grey. The review sample that I received is the black one, which is more subtle, but I think the Ash looks great as well, and matches the new Ash versions of their bags, such as the Everyday Sling 10L that I have previously reviewed. It needs to be light and easily packable into small camera bag pockets. The Leash fits the bill perfectly, and that’s why I have been carrying one for so long. The quick-release Anchor system allows for many different mounting options. 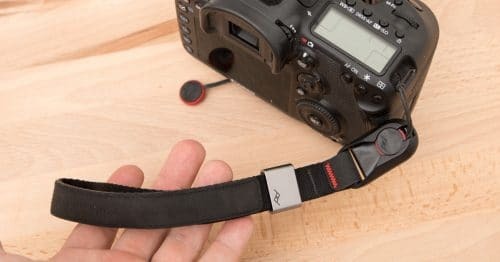 Of course such a small strap is going to work great for small cameras, but what I what I want to underline here is that even if you do have a big camera, this Leash strap is a great solution for someone who only occasionally needs to sling a camera over their shoulder. 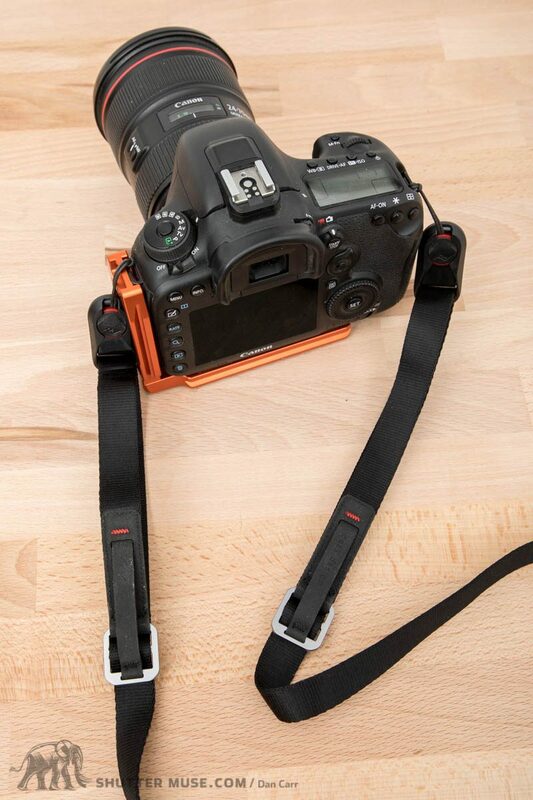 No it’s not wide or padded, so you wouldn’t want to walk around all day with this strap and a big heavy DSLR, but in short stints it gets the job done. 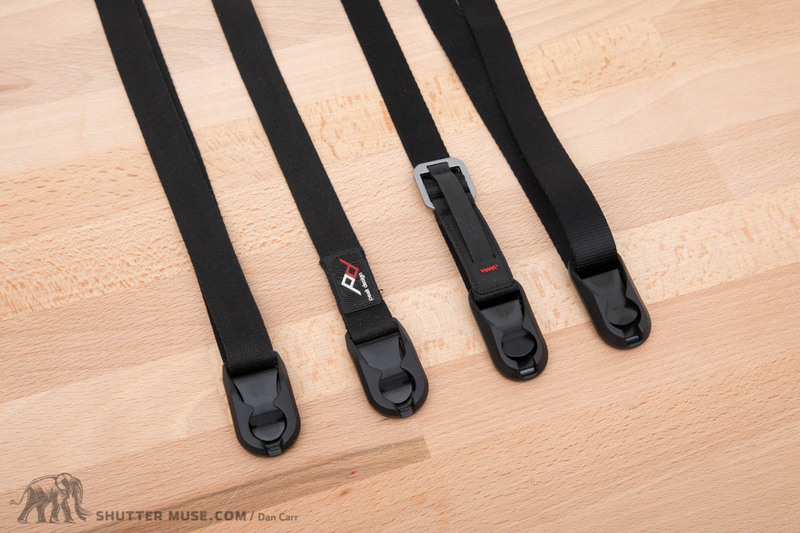 If you want more comfort, Peak Design offer larger and wider straps. On the left is the Leash, on the right is the Slide Lite. 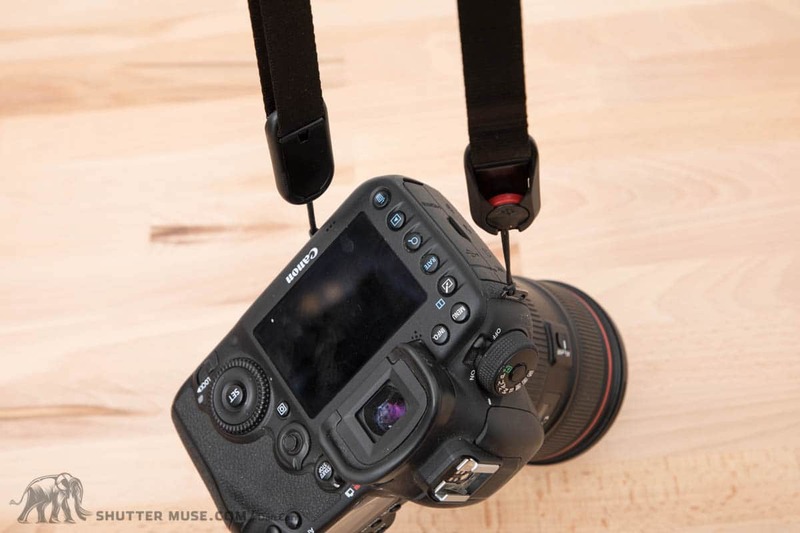 The Leash comes with an Anchor Mount which is a tiny plate for the bottom of your camera, used to create a mount point for the quick-release Anchor. Using a mount on the base of the camera, instead of on the side of the camera, causes the lens to point down when it’s being carried. This offers some protection to the lens, but also makes it much easier to maneuver through crowded spaces with camera on your shoulder. You can clear see the effect that it has in the photo below! 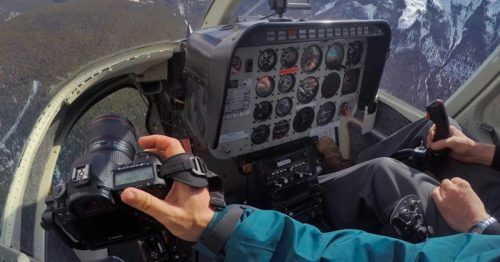 It’s a dramatic change in the orientation of the camera when it’s being carried, and the tiny little Anchor Mount is a great accessory. 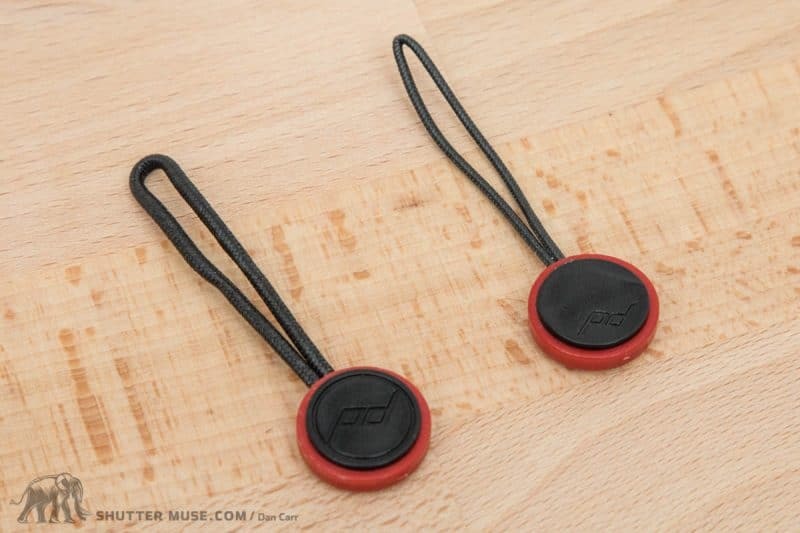 If you also purchase a Peak Design Capture Clip then this will come with a larger base mount designed to fit into the clip, but for those that don’t want the full Peak Design carrying experience, the small mount is awesome. Anchor Mount in use, showing the lens pointing down. Strap length adjustment can be carried out at both ends of the Leash. 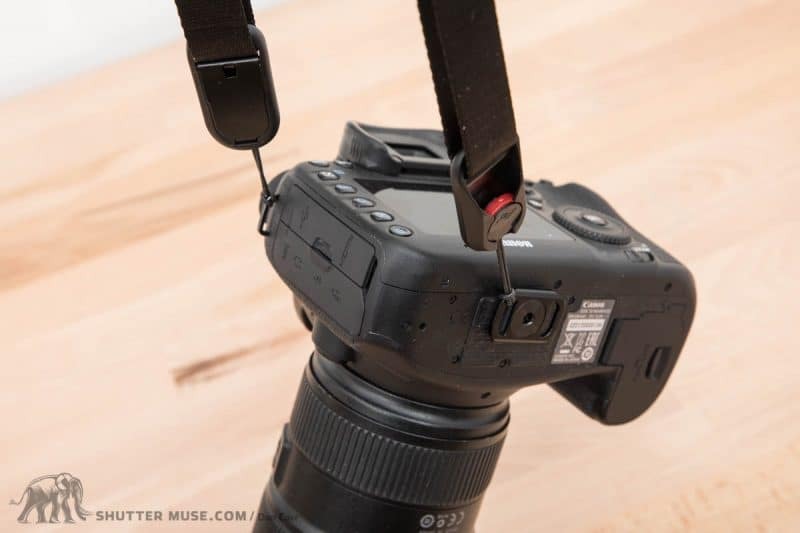 The idea with this is that you’ll use one end to set the usual length of the strap, and then the other end to quickly adjust the length when you want to raise the camera up for shooting. If you wear the camera across your body, whichever way you do it, there will always be an adjustment buckle on your front to do this with. 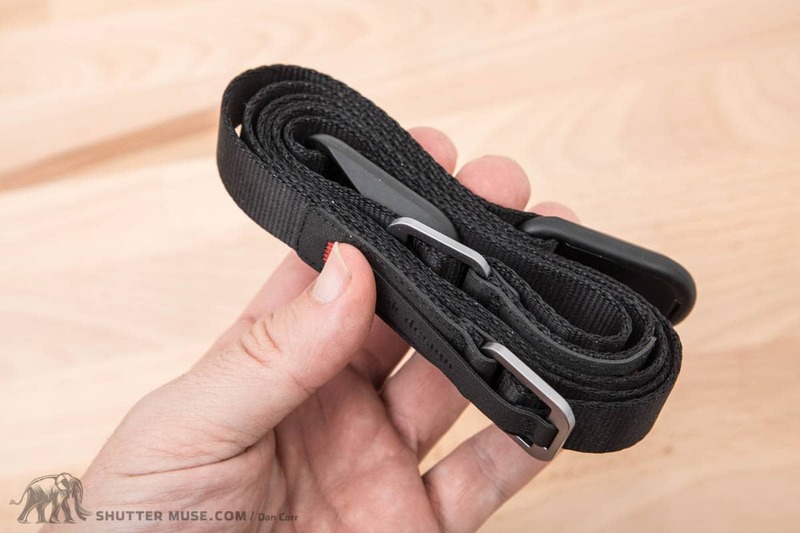 The actual buckle takes a bit of practice to use correctly, just as the same style of buckle did when they introduced it on the Everyday Sling 5L that I recently reviewed. 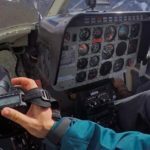 The key thing is that you need to pull the buckle forwards away from your body, and not just up and down. If you have issues, watch my video review above where I demonstrate it! 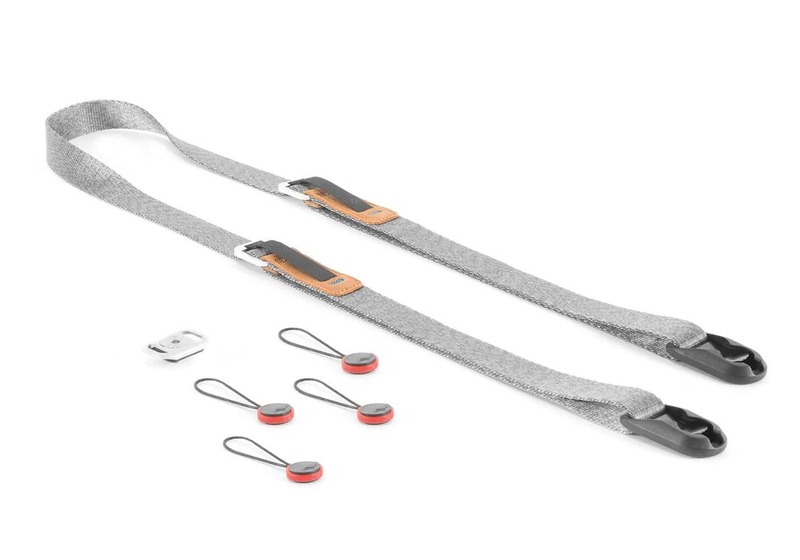 Whilst it’s not a very intuitive buckle system to use, it is super lightweight and low profile, which is in keeping with the whole point of the Leash. The buckles certainly grip very well, and you won’t find the strap lengthening itself at an unwanted moment. The Anchor system for quickly releasing the strap, works like a charm. You can easily pop the strap off with one hand, but it’ll never come off accidentally. If you’ve ever seen photos of my gear, you might have noticed that I have these little black and red Anchors on everything. I put them on my super telephoto lenses so I can throw a Leash on them and put them over my shoulder, I put them on my binoculars and I put them on small belt pouches so that they can be quickly turned into shoulder pouches. 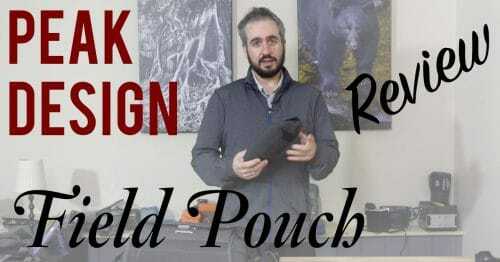 It’s an extremely versatile system and it allows me to carry this single strap, but be able to quickly attach it to many different items in my kit. 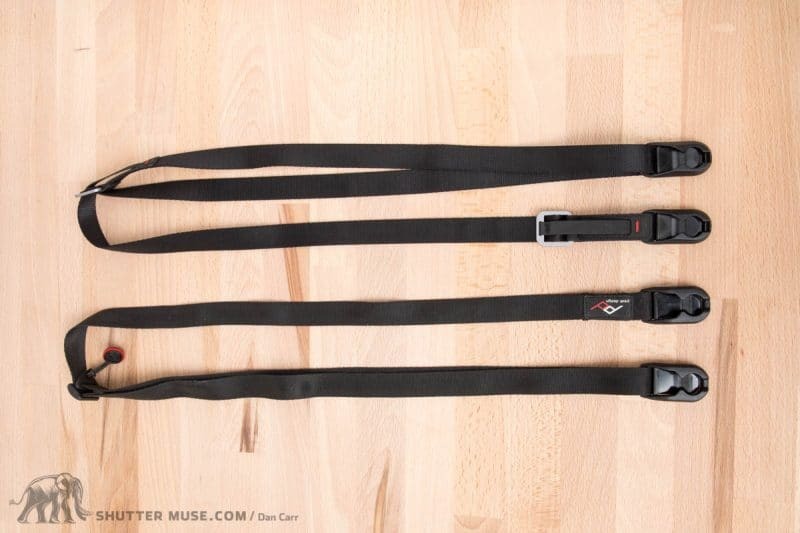 The photos clearly show the immediate physical differences between the old and new version of the Leash strap. The original version had length adjustment on a single side, and it employed a relatively standard plastic buckle to control it. The original version also did not come with the Anchor Mount, although the price of the Leash has increased by $5 to accommodate the inclusion of this new piece. The other main difference is the removal of an immediate way to turn the Leash into a camera tether. On the first version of the Leash there was an additional Anchor on the adjustment buckle that you could use to loop one end of the strap around a static object such as a railing. Leaving the other end of the Leash attached to the camera, you had yourself a nice quick safety tether which I actually used several times in helicopters so that I didn’t drop my camera out of the door. That additional Anchor isn’t there anymore which is a bit of a shame, however, you can simply take one of the spare Anchors that comes with it, and attach it to the metal buckle on either end of the newer Leash. Ultimately you’ll accomplish the same thing. I’ll say it again that I think the biggest benefit of the Leash strap is its small size and weight. That hasn’t really changed since the original version, so if you’re an existing owner I don’t see a lot of point in running out to buy the new version unless your old one is looking particularly long in the tooth. From an aesthetic point of view, at more than a couple of feet away, nobody else is really going to notice the difference between the old and the new black versions of the strap. The Ash Grey version is a nice addition to the lineup though, and the style conscious amongst you might consider an upgrade to that one if you don’t mind sticking out from the crowd a little more. Old Leash on the left, new Leash on the right. If you’re thinking of upgrading just to get the little Anchor Mount that now comes with it, let me save you $30 right now because you can buy the Anchor Mount on its own for just $10. It’s somewhat hidden on their store right now, not sure if that’s deliberate… but here’s the link. The final difference between the two is that the new version of the Leash ships with updated Anchors. These newer Anchors feature thinner cords, which makes it easier to thread them through the small eyelets on smaller cameras. The breaking strain is the same though, so your gear is still safe! The new Anchors are also available on their own for $10. These are rated to 200lbs each! The Leash has always been a strap that appeals to me because I like to travel as light as possible in the mountains. I can’t say that I ever had any issues with the original version, so I was a bit worried when I heard that they had updated it. Thankfully, they didn’t ruin it! Some more adjustability options with the dual adjusters is nice, and many folks will appreciate the inclusion of the new low-profile Anchor Mount. I really believe that mounting a camera with one point on the base is much better than the traditional method, so the Leash with the new Anchor Mount now gives people a more cost-effective way to experience this. You don’t buy a Leash if you want all day carrying comfort with a large camera, it’s simply not that kind of camera strap, and isn’t meant to be. For that they have the Slide and the Slide Lite. 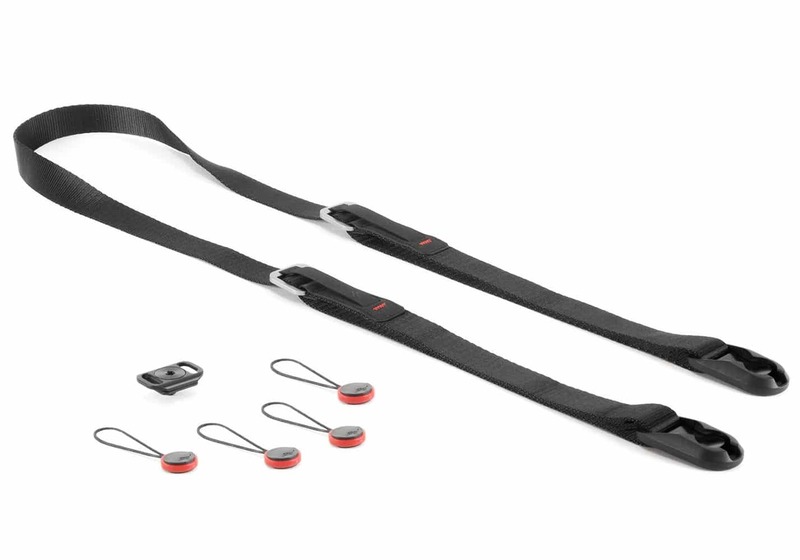 But, if you’re looking for a lightweight, low profile solution for occasional use then the Leash is your answer. 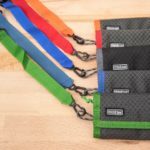 For under $40 you’re getting a durable carrying solution that will last many years. says it’s combined however nothing takes place. What says what is combined? I have used the Leash for almost 5 years just because of the reasons you summed up. I use it with an Olympus E5 with 50-200mm lens and that can be a whole day. It did not bother me at all, not even wearing t-shirts. The strap is so flexible it will not annoy. Forgot this one: I used it with a Manfrotto PL200 plate. That has a ring to fasten the screw and allows me to attach an anchor to that. Thanks for sharing your thought! 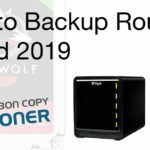 I’m on a budget and not sure which one is the best for me. But now i know. The original version is more than enough for me! Thanks for your excellent review! You’re the first person I’ve seen use the Leash on a full size DSLR. I have a Nikon D7500 and think I’d prefer the less bulky Leash to the Slide or Slide Lite. Do you mind telling us how much your camera and usual lens combination weighs? I’m curious if the strap digs into your shoulder after awhile. Have replied to your same question further down. Looks like there was some technical difficulties for you. Thanks for your excellent review! You’re the first person I’ve seen use the Leash on a full size DSLR. I carry the Nikon D7500 and think that I’d prefer the Leash to the bulkier Slide or Slide Lite. 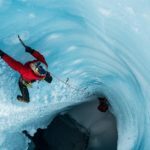 Does the Leash tend to dig into your shoulder after carrying your camera for awhile? Well yes it’s a thin strap so if you carried it for, say 9 hours, it would not be that comfortable if you were wearing a t-shirt. But people often forget how important the clothing is. I live in a cold place and often wear a thick jacket, so for me the jacket makes it comfortable even all day long. I would say with a D7500 you could certainly use it for a few hours. And even then you will surely be taking it on and off to take photos and move around.